There have been some amazing Stephen King adaptations over the years, The Shawshank Redemption, The Shining, Misery, Carrie and Stand By Me most readily come to mind, but there have also been a few disappointments too, like Thinner, Needful Things and Maximum Overdrive (directed by the horror-meister himself). 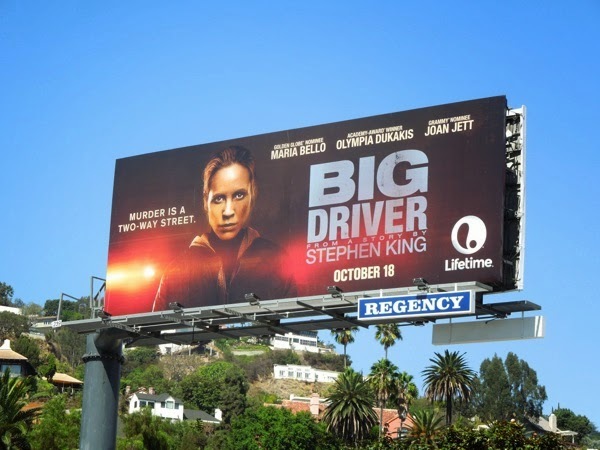 Daily Billboard wonders where Lifetime's TV movie Big Driver will fall, in the winner or loser column. 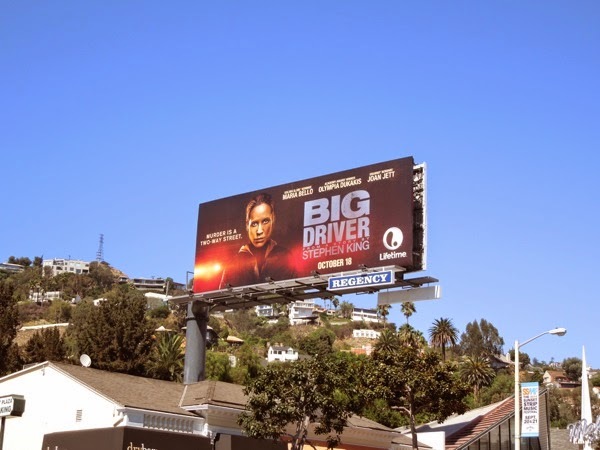 In this twisted tale, Mario Bello plays a famous mystery-thriller writer who is assaulted and left for dead by a serial killer on a long drive home from a book signing. Having survived the horrific encounter, the only thing keeping her sane is the thought of seeking revenge on her attacker. Sounds like cheery stuff and not for the faint of heart. 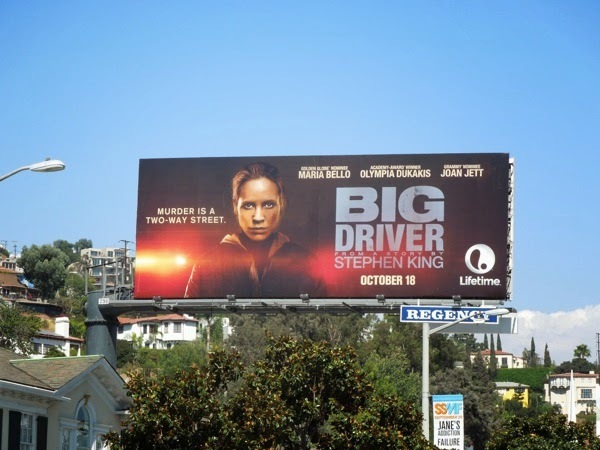 This Big Driver billboard with a determined looking Maria Bello was snapped along L.A.'s Sunset Plaza on September 15, 2014. 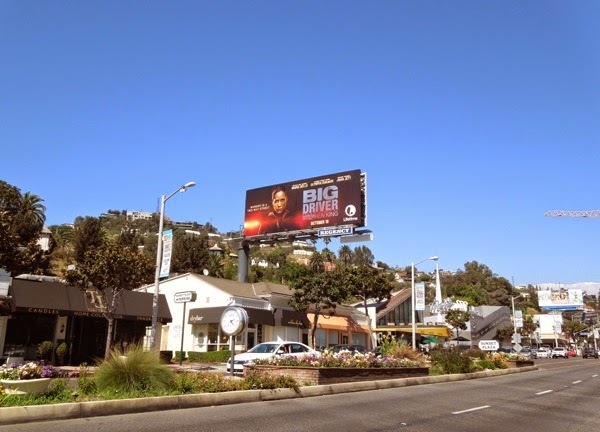 If you're a fan of the actress, be sure to also check out these Prime Suspect TV remake billboards from 2011 and for more Stephen King projects, take a look at these Bag of Bones mini-series billboards, Carrie movie remake billboards and this Under the Dome season one billboard.